Air-conditioned rooms feature carpet flooring, a personal safe, a flat-screen cable TV and seating area. Tea/coffee making facilities and a fridge are also included. The en suite bathroom comes equipped with a bathtub, shower and free toiletries. Larger air-conditioned rooms feature carpet flooring, a personal safe, a flat-screen cable TV and seating area. Tea/coffee making facilities and fridge are also included. The en suite bathroom comes equipped with a bathtub, shower and free toiletries. Rooms offer 2 double beds. This family room has a cable TV, electric kettle and air conditioning. Please note that breakfast is not included in the rates. This double room has a seating area, air conditioning and electric kettle. Please note that breakfast is not included in the rates. This twin room features a electric kettle, cable TV and seating area. Please note that breakfast is not included in the rates. 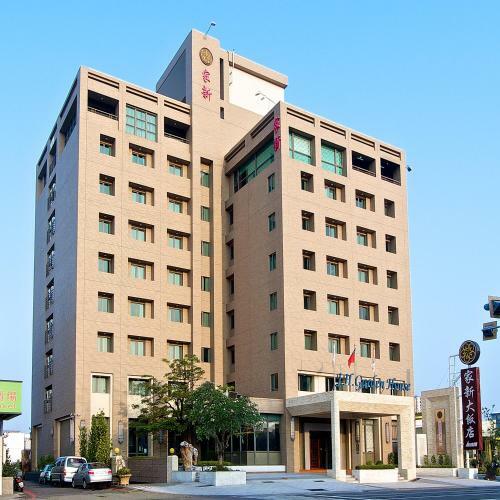 Operating a 24-hour front desk, Jia Hsin Garden House is conveniently located within a 5-minute drive from Tainan Train Station and the well-known Chihkan Tower. It provides complimentary parking and offers free Wi-Fi access in the entire property. Elegantly furnished, air-conditioned rooms feature carpet flooring, a personal safe, a flat-screen cable TV and seating area. Tea/coffee making facilities and a fridge are also included. The en suite bathroom comes equipped with a bathtub, shower and free toiletries. Bicycles can be rented to explore the vicinity, while the tour desk can assist with sightseeing information and travel arrangements. Laundry service is also available. Housing a restaurant, guests can enjoy a tasty selection of local dishes served for breakfast daily. Alternatively, a variety of food stalls, cafés and fast food restaurants can be found within a few minutes’ walk away. 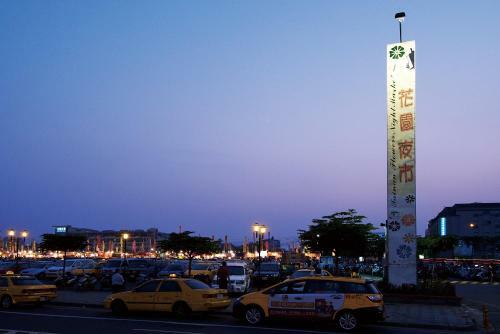 Jia Hsin Garden House is within 2 km from Tainan Confucius Temple and 6.6 km from Tainan Airport. 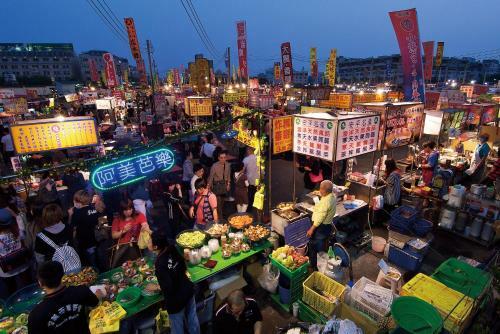 Tainan High Speed Rail Station is a 30-minute drive away, while the famous Garden Night Market is just a 3-minute walk from the property. Please be well noted that free breakfast is not attached to certain room types. Please check the policy first before booking. More information, please contact the property directly. Please note that the property will be under renovation from mid May 2017. Breakfast is a disaster. Rooms are dated without light switch next to bed so find your way in a dark room at night....bathroom has molded wood that stinks when it gets wet. A 1-minute walk from a bus stop, this elegant, modern hotel is a 3-minute walk from the Tainan Flower Night Market and 2 km from the 17th-century Fort Provintia. Refined rooms feature free Wi-Fi and flat-screen TVs with cable channels. All have desks, safes, and tea and coffeemakers. Suites add living areas with sofas. 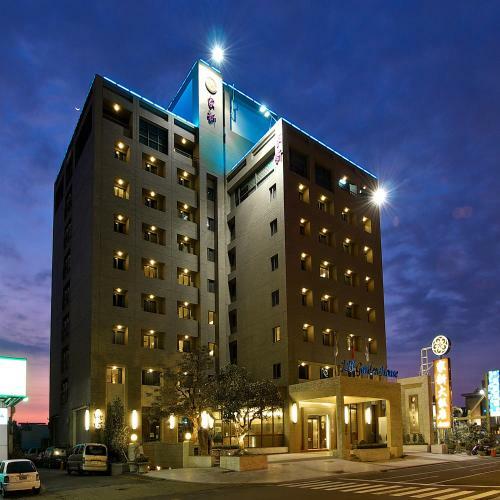 Freebies include parking, and a breakfast buffet in a restaurant offering Chinese, Western and Japanese cuisine. Other amenities include a gym, a business center, and a lounge with Chinese decor.